In Person: With cash, check, money order or by credit card (service fees apply to CC). A drop box is also available near the back door at the Geneva Town Hall, along with envelopes for your convenience. 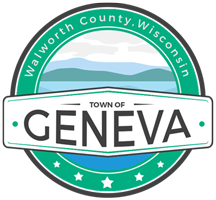 Mail: With check or money order made out to the Town of Geneva Municipal Court. Online: Payments made by credit card or debit cards may be made 24 hours on-line at www.govpaynow.com or by phone at 1-888-604-7888 (internet/phone service fees apply).